I asked a lot of questions on Facebook about what we should pack and what was available in Nicaragua. Here’s my top 15 items I’m glad we have. I’ve seen tweezers sold here, but if you’ve ever used a cheap pair then you know good set is invaluable. 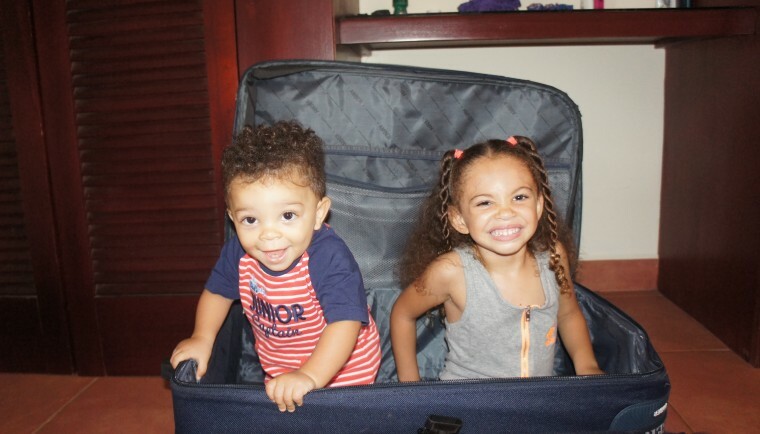 This was mentioned as an item by another mom in my article; 12 Things I wish I had Packed. Before we moved I had made play dough for all of our friends’ kids for Christmas presents so I knew the value of this obscure substance. It has come in handy a few times when a toy is needed that crosses language barriers. We use this stuff like lotion, everyone gets a daily application at least once a day. We sent ourselves a huge box that had no weight limit so I put about 6 large bottles of sunblock in it. I’m glad because this stuff is not cheap down here and its essential. When we asked people what we should pack, everyone consistently said, “sheets”. I’m not a thread counter, but we followed the advise and brought a couple twin sized pink patterned sets for Azalea and one queen sized white set for ourselves. It wasn’t until we moved into our second house that we realized what all the fuss was about. The sheets here not only are stiff, but they don’t fit a regular mattress. Our new house came with one pair of sheets and I purchased another set because Azalea now has queen sized bed. Without fail if the “Nica sheets” are used then we all wake up on top of our mattresses, not the intended fitted sheet. Not sure why I even thought to pack this since I spent many weekends without makeup when I lived in the States, but I had heard good makeup was hard to come by and since it doesn’t take up much space, I packed it. For some reason, maybe its because my hair lives in a messy bun or ponytail, but I wear makeup here pretty much every day. Also with a baby in the house, sleep is a luxury and I’m already on my second tube of under eye concealer. Not a day has gone by that Azalea hasn’t worn one of her princess dresses. I haven’t seen them sold here, but I also haven’t had to look. She’s worn them so often that they are now looking a little tattered and is on my list of things we need to bring back with us when we go home for a visit. Titus is growing fast and I’m so glad I packed the next size up in clothes for him. I only brought size T3 & T4 for Azalea which were a little big when we left, but she’s fitting in them now. She’s slowly growing out of her shoes so we’ll be picking up on our next trip as well. Anyone with more than one kid knows that keeping up can be difficult. If you can strap one to you, your odds get a little bit better. I purchased the ERGObaby 360 right before we moved because I didn’t want to have to lug several carriers around in case Titus fell asleep or woke up while out. I’m so glad I did! Although we sweat like crazy, it has allowed me to take both kids shopping at the mercado, the beach, to watch parades, and strolling around the town. We’re not a plug-in family, but in my family screen time is sometimes necessary to keep the sanity. Since we don’t have a TV, Azalea uses her tablet to watch her morning cartoons. The kids both wake up between 5:30-6am, and the tablet allows time for my brain to wake up while the coffee is brewing. She also plays games and we troll for her favorite songs on YouTube. The tablet has been great for long drives to Managua and I’m sure will be very handy on our first trip back to the States. My husband is his own barber and I’ve heard these are expensive and poorly made here, so I’m glad we haven’t had to make this purchase in Nicaragua. This was a big dilemma for me before we moved. I wasn’t sure whether a double or single stroller, umbrella or 3-wheeler would be better. I was so torn that we now have 2 strollers I purchased prior to leaving taking up space in our storage unit back in California. I’m SO glad I made the choice to bring the single BOB stroller. Its small enough to fit through doors and into the trunk of a cab. Its great for street, off-roading, and beach trips. I taught Azalea that the “big girl spot” is the front triangle so now its her favorite place to ride while Titus lives large in the main area. Titus’ car seat fits into the BOB too so if he falls asleep in the car I can easily take him without waking him up. I planned on making all of Titus’ food, so I packed the Nutribullet since I find it very easy to use and the clean up is simple. I also make smoothies a lot of mornings, so this fantastic device gets used at least twice a day. For some reason I also have a sudden interest in making hummus too! We shipped most of our book collection in the box we mailed ourselves. Since books are so heavy and the box had no weight limit, this was the perfect way to get a lot of them down here. I read at least one book to Azalea for nap and at bedtime. She also loves bringing books to school. Titus is just starting to play with the sensory books. I’m thankful every day we have such a variety. I didn’t realize this would be at the top of my list of essential items until I lost mine. Having a good phone here helped me navigate Nicaragua using Google Maps, and the Waze app, stay in touch with friends back home using WhatApp and TextNow apps, use Facebook to connect with people here and keep up with what’s happening at home, listen to music via Spotify, take great pictures where ever we went, translate using Google Translate Spanish downloaded, and Skype for international calls. My “Nica phone” often doesn’t work, the camera is terrible, and the memory is too small to download or update many applications. Bringing a few of the kids’ favorite things is priceless. I love wrapping Titus up after bath every night in the same ducky towel I used when Azalea was a baby. It melts my heart to watch Azalea cuddle with her huge stuffed pink frog every night and cart her blankies around the house. I didn’t bring a lot of toys, but watching her play with a toy I bought when we went with all her friends to Disney On Ice makes me smile. Maybe the kids don’t notice, but having a pieces of “home” with us makes this adventure less challenging. It gives us a history, every item has a story behind it and when I miss home I can go back to that moment and cherish it. I asked other moms living in Nicaragua what they are glad they packed, here are their answers that weren’t already on my list: underwear & bras, Tampax, bathing suits, toys, Crayola products, painters tape, kids party gifts, computer, extra pair of favorite flip flops, good quality floatie for kids, quality cookware & utensils, good quality speaker, spices, UV shirts, organic sugar-free baby cereal, Chicco portable highchair (attaches to just about any table), spring or half wet suit, printed vaccine record, and health insurance for emergencies. Get notifications of new posts by filling in below. 2014 the 1 lesstraveled. All Rights Reserved.